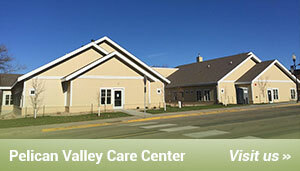 The Pelican Valley Health Center Hospital District was founded in 1977. We are governed by a board of directors who are elected by their respective townships. The board meets the fourth Monday of the month at 6:15pm in the upstairs conference room at Pelican Valley Care Center. OPENS TUESDAY, JULY 31, 2018 AND CLOSES TUESDAY. AUGUST 14. 2018. Affidavits of Candidacy may be filed between 8:00 a.m. on Tuesday, July 31, 2018, and Tuesday, August 14, 2018, for Hospital District Board Office in the regular township and city elections to be held Tuesday, November 6, 2018. Up for election are four (4) year terms for Lida Towship, Scambler Township, City of Pelican Rapids, Maplewood Township, Member at Large, term ending 12/31/2022. The terms begin January 1st following election to the Board. All candidates must file an affidavit of candidacy with their city or township clerk during the filing period. To find out more about our board members, click here. To read minutes from past board meetings, click here.